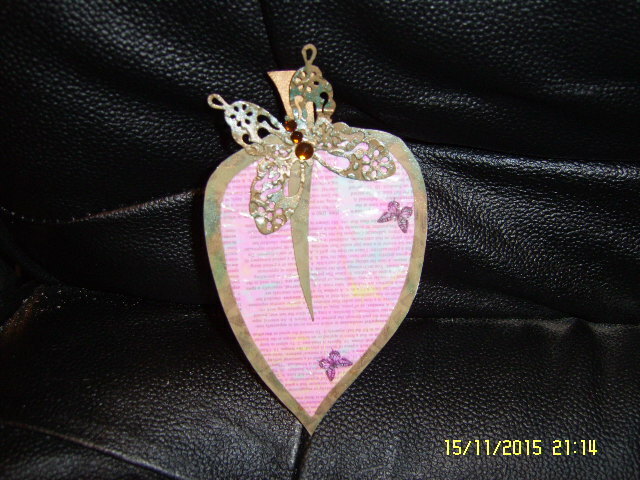 Had to take this against a dark background as it has a sparkly background with miniature butterflies and the large butterfly is embossed and inked. It's lovely Kate thankyou and thankyou to Karelyn for organising. Very unusual, and pretty of course. Very pretty and very KT's work. That's really pretty, and such a lovely shape.